Vampire Beauties: Vampiress Review: "Karmina"
The Gist: A vampire Baronet from Transylvania who was to be involved in an arranged marriage escapes to Quebec to find love on her own. Clarification: This is a 1996 French Canadian comedy. 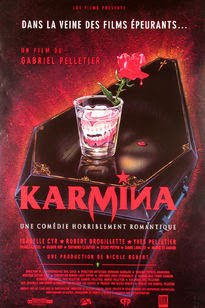 Karmina goes to Canada to live with her aunt who lives among humans with the help of a potion she created that makes her seem human (like Vampirella). She then uses her aunts dating service in an effort to find a boyfriend while struggling to fit in the modern big city lifestyle she finds herself in. Meanwhile the man she was supposed to be engaged to is sent by her father to find her and bring her back. Her biggest issue for the bulk of the movie is that the potion she takes to suppress her vampirism only lasts for a limited time and throughout the film she either loses them or forgets to take them. This results in a few situations where she loses control of herself. 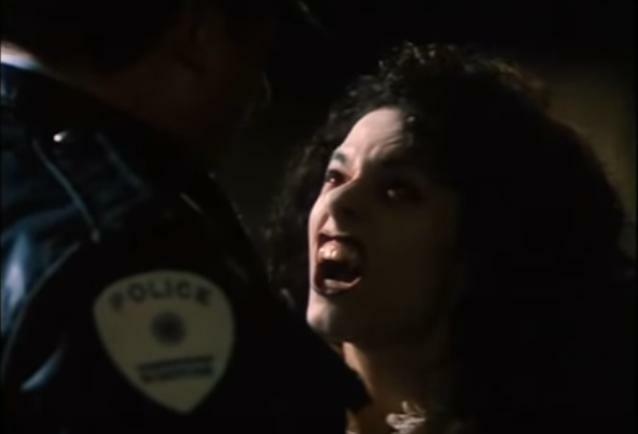 The other female vampires in the film consist of Karmina's mother and aunt but neither are much to write about and their scenes as vampires are limited to a fight scene with each other at the end of the film. I give the film a Vampire Beauty Rating of 3 out of 5. The character Karmina is great. She's just trapped in a goofy slapstick comedy that's hit or miss in the entertainment department. A sequel to this was made in 2001.
the sequel I thought was actually more interesting because it focused on the repressed housewife from the first movie getting turned.